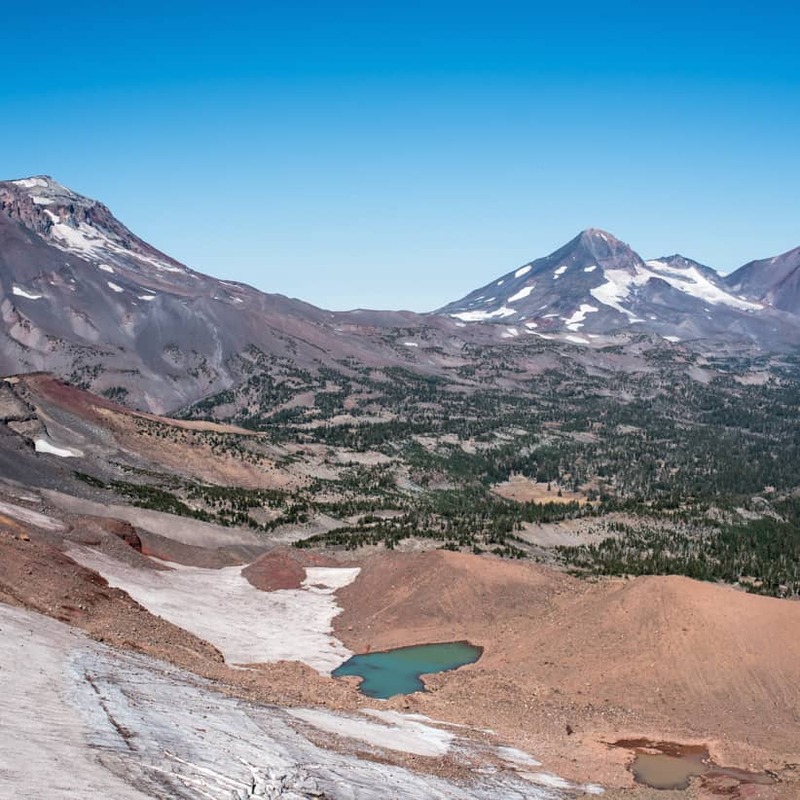 After two years of being told we’d love Bend and hearing great things about it, we finally got to explore the area over Labor Day Weekend (you can read all about our trip here!). 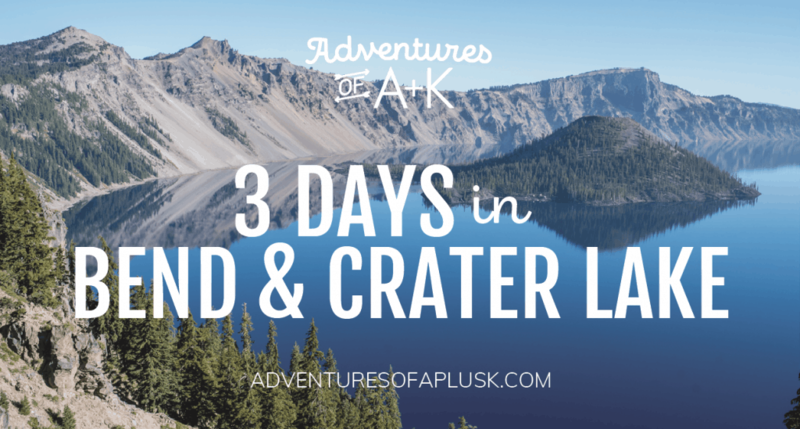 Since the drive from Seattle was pretty long and we can’t make it down there too often, we added on a day at Crater Lake National Park. 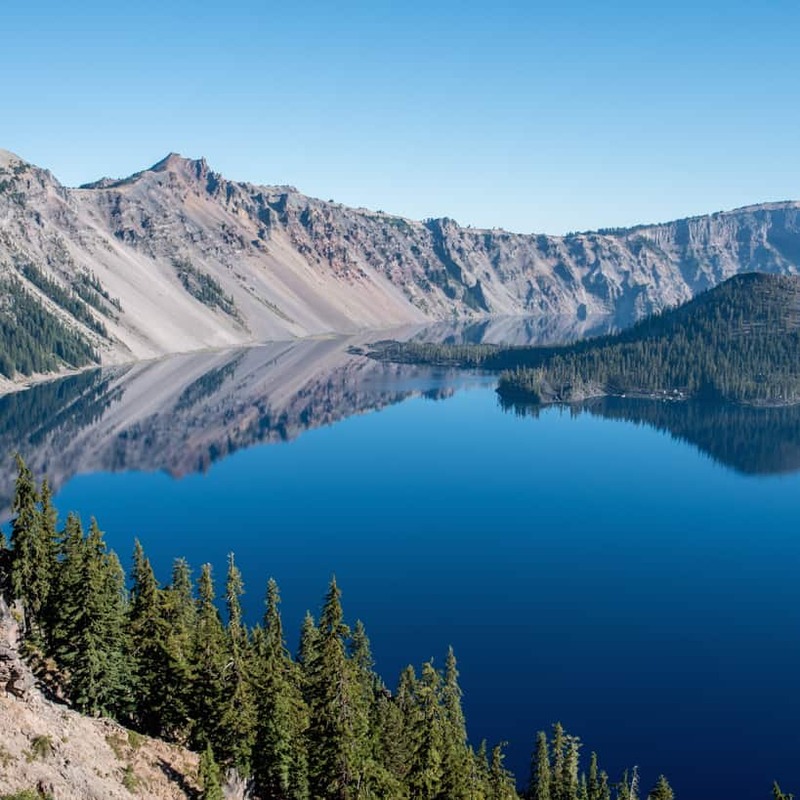 Combining the two was awesome, as they are relatively close to each other and you can easily knock out the Crater Lake highlights in a day. We had such a great experience in both places that we wanted to create a guide for others who want to combine the two into one trip. This guide is definitely catered more towards the summer, but we are including some winter ideas in the “if you have extra time” section. 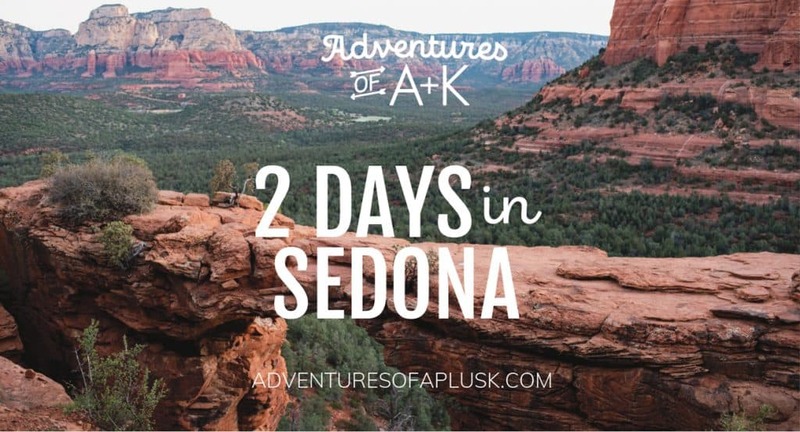 Get ready for a fun few days enjoying the outdoors, good food, and local coffee and brews! 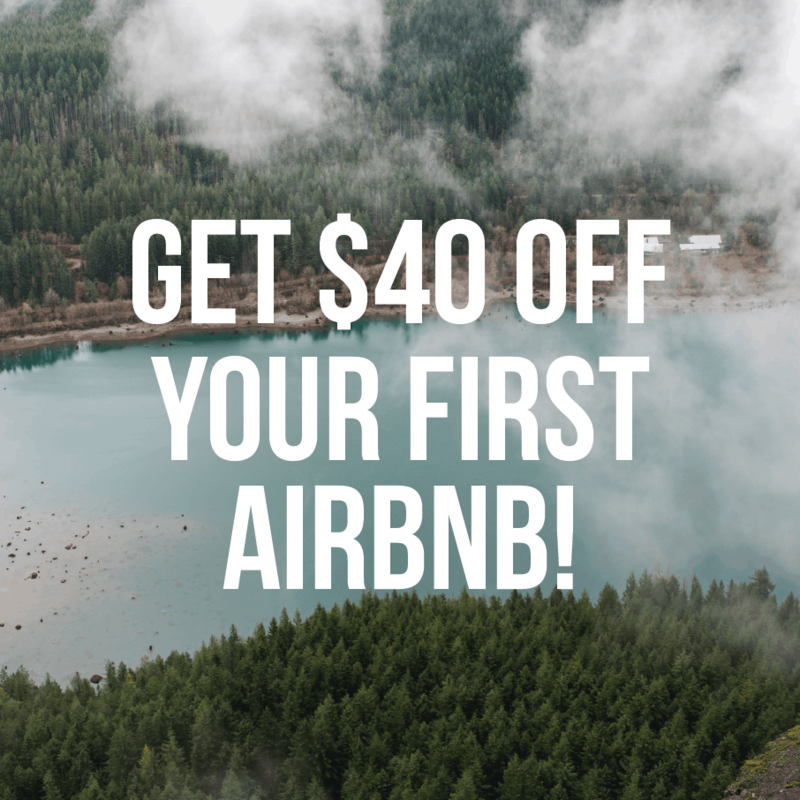 There are many options when it comes to lodging in Bend! We took the cheap route and camped, which was really fun, but there are also lots of Airbnbs and affordable hotels. Here are a handful of suggestions of places to stay! 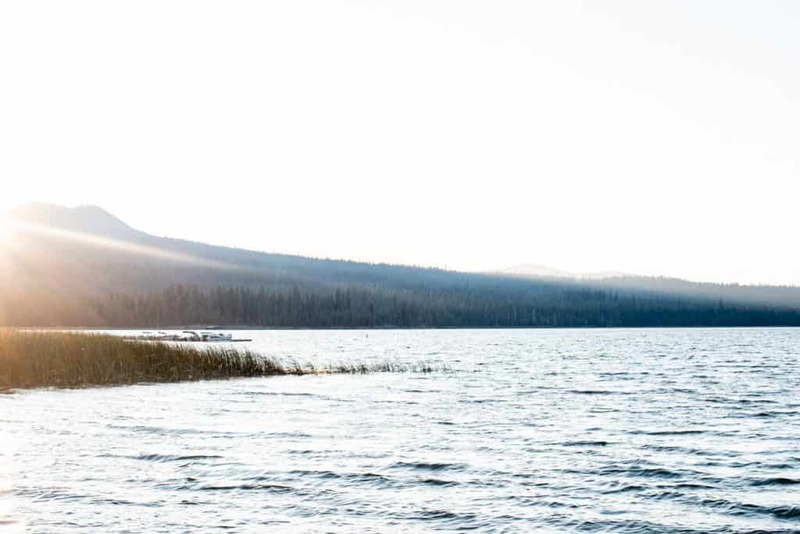 Lava Lake Campground–This is where we stayed and the lake at the campground was beautiful! The only downside to this campground was that there was no running water in the bathrooms, so be prepared to not shower. However, the vault toilets were very clean and actually smelled nice! 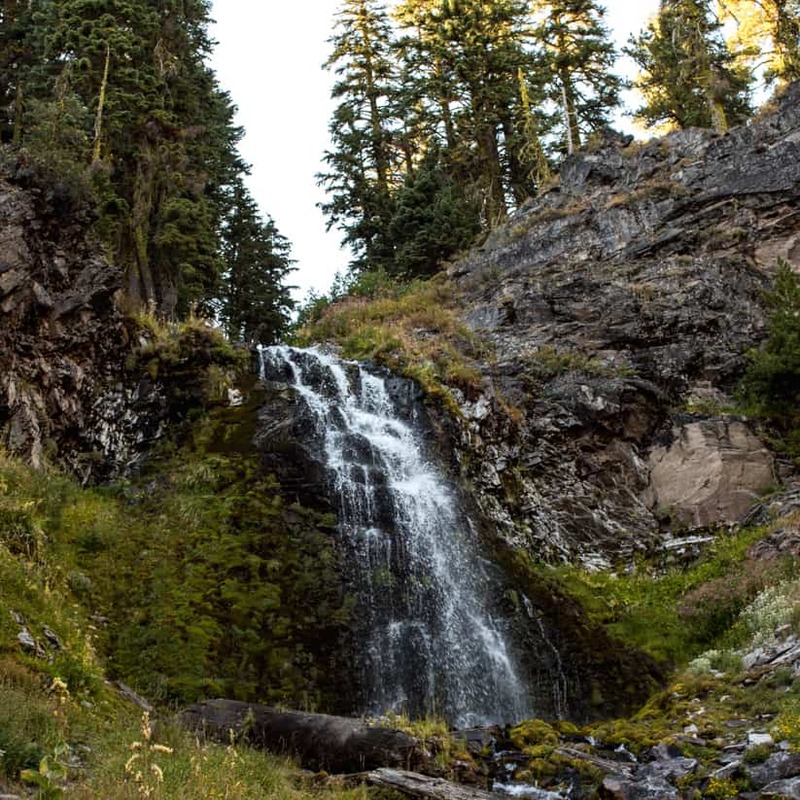 Tumalo State Park–This state park has showers and bathrooms, so it’s definitely more comfortable than Lava Lake. Get breakfast at Bad Wolf Bakery & Bistro, a delicious spot in town. Make sure to get their potatoes and try their homemade salsas! 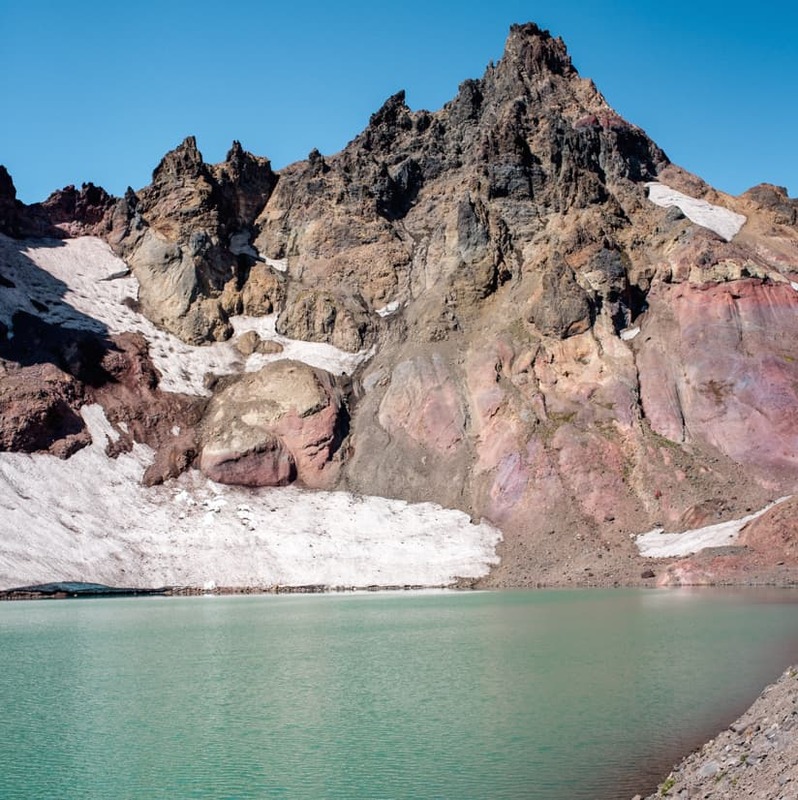 Spend the rest of the morning and early afternoon hiking to No Name Lake. Make sure to pack a lunch! Warning: this hike has two trailheads. If you have a high clearance vehicle that can handle rough roads, go to the trailhead on Road 380, which makes the hike 6 miles. The other trailhead at Todd Lake makes the hike around 13 miles total, but it’s a fairly easy and quick ~15 miles. 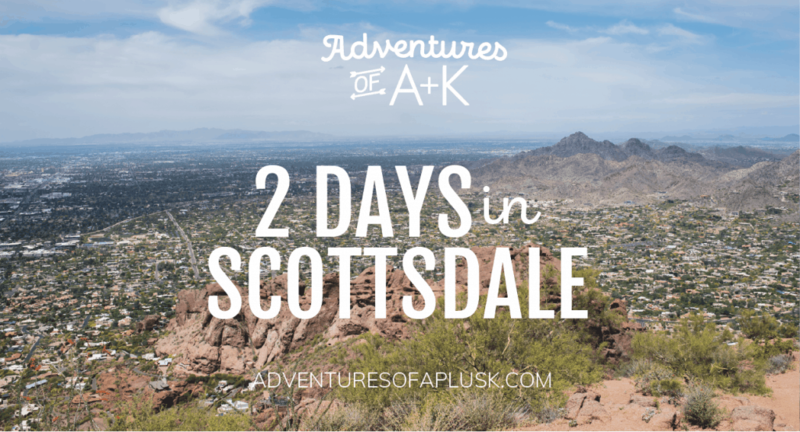 For other hike options, check out our “if you have extra time” section below! 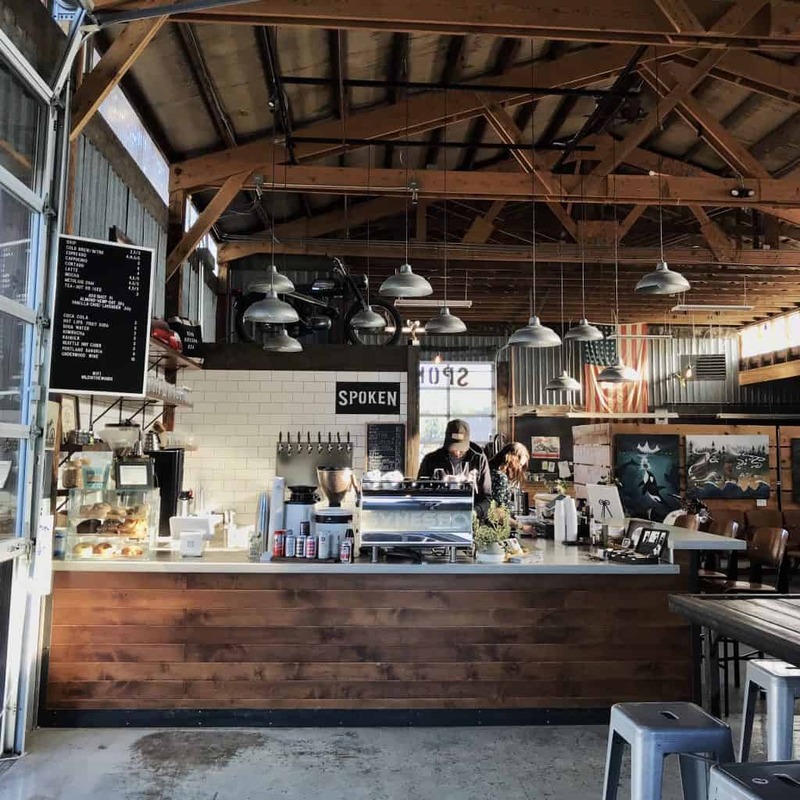 Enjoy a post-hike coffee or beer at Spoken Moto, a super cool coffee shop + motorcycle shop. The vibes in here are awesome! While you’re there, grab dinner from one of the food trucks, like Scoutpost or Shred Town Food Cart. Get to bed early because Day 2 will be a big day! 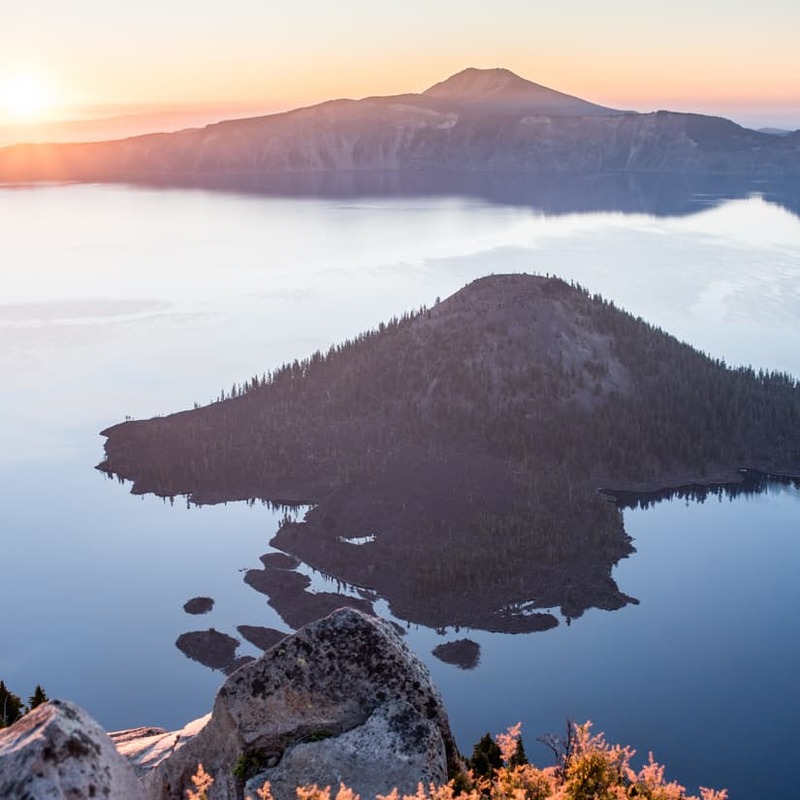 Head to Crater Lake National Park before sunrise. 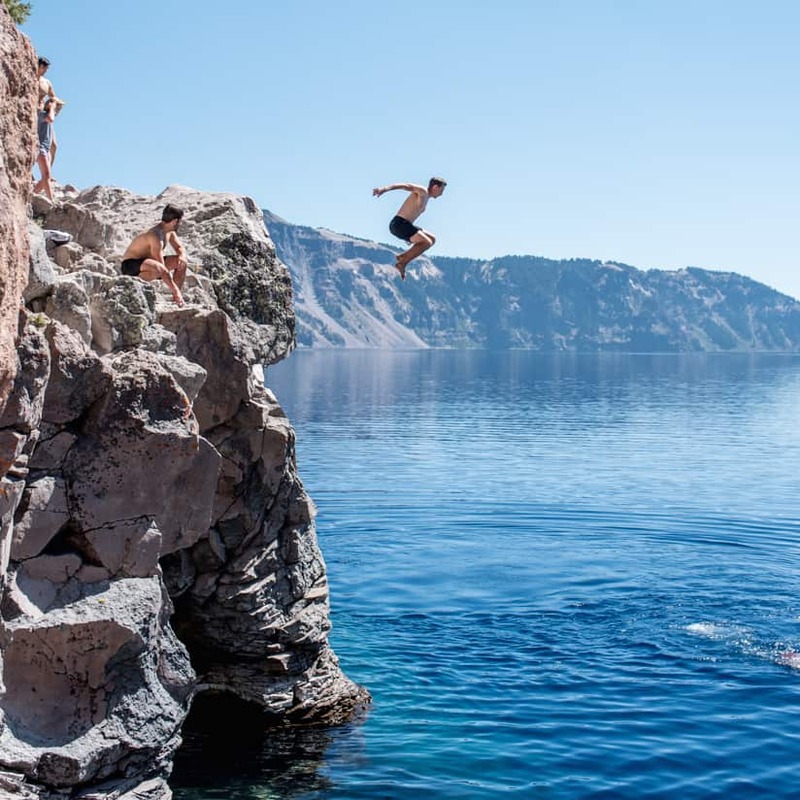 This sounds torturous, but we promise it’s worth it! 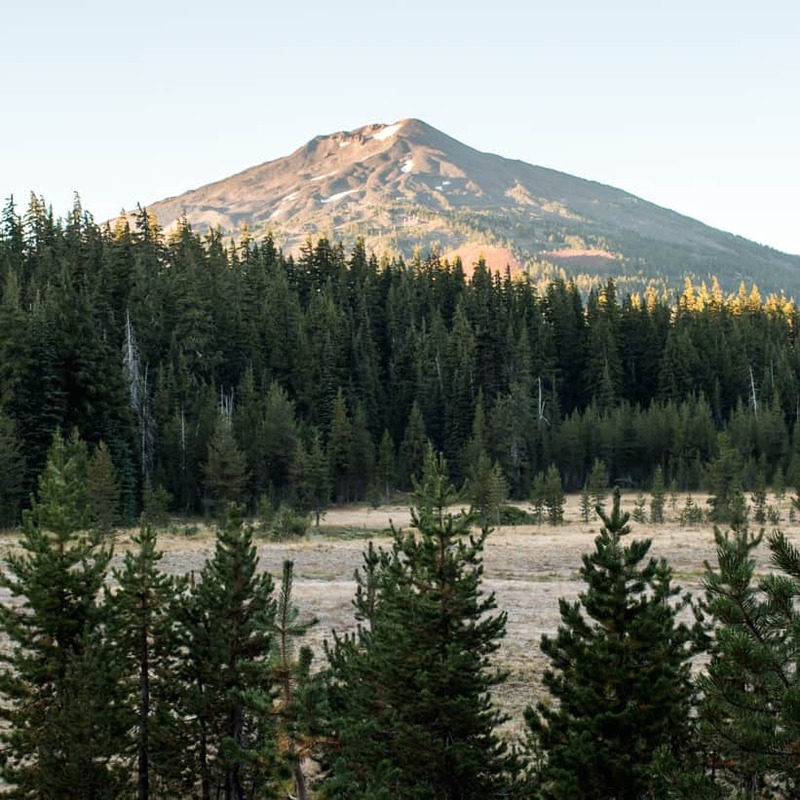 The drive is around 1 hour 30 mins from Bend and we recommend packing breakfast to take with you. First stop at Crater Lake: sunrise at the top of Watchman Peak! This was our favorite thing we did at the park. The hike to the top is only 0.8 miles (but all uphill) and you get an incredible view of the sunrise over the lake. Head towards the visitors center, which is home to a few hikes. We recommend checking out the Discovery Point Trail, which is an easy 4.0 mile walk with lake views the entire time. You don’t have to walk the entire trail to get the beautiful views, so feel free to go as far as you’d like! Hike up Garfield Peak next, which is a pretty steep 3.4 miles, but it gives you a great view of the park. Enjoy a picnic lunch after your hike over near the visitor center or on the patio of the lodge, which has nice rocking chairs and a view! After lunch, head down the Cleetwood Cove Trail (1.8 miles roundtrip), the only way to access the lake, for a swim! The trail is downhill the whole way down, which means the way back up is a good workout. The water is very clear and super cold, but on a hot day it’s refreshing and totally worth it. We recommend spending a couple hours here relaxing. 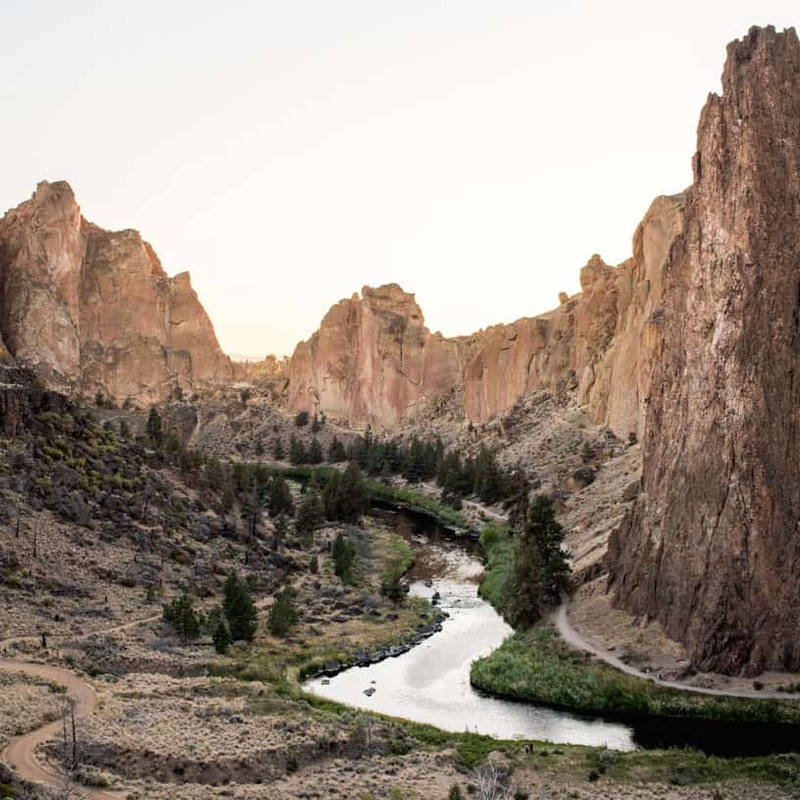 If you’re up for more, there are two quick stops we suggest afterwards, the Pinnacles Overlook trail and Plaikni Falls. Both are short and easy and give you different scenery than the lake. Lastly, end your day watching the sunset at the Cloudcap Overlook. This is a great spot to have a picnic dinner at too! Start off the morning with breakfast at McKay Cottage Restaurant, one of the most popular breakfast spots in Bend! 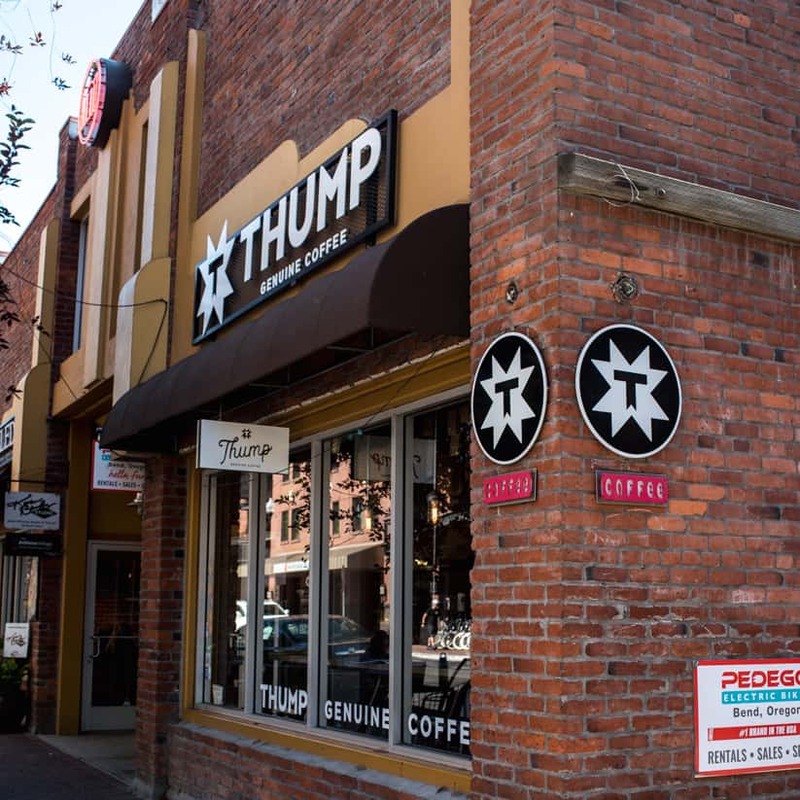 After breakfast, grab coffee at Thump Coffee. 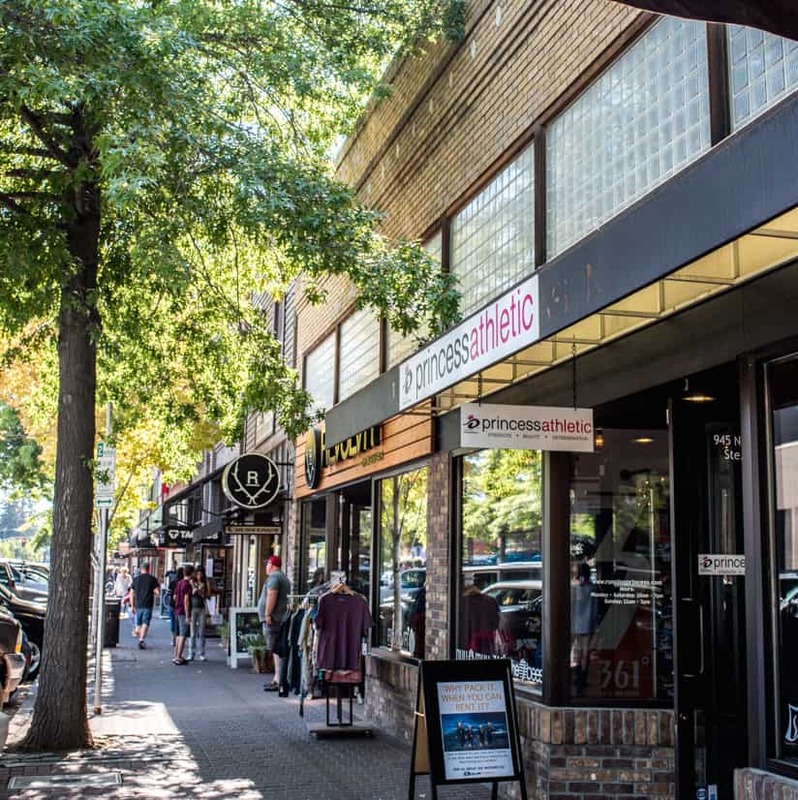 Walk around downtown Bend and explore the shops. Go visit one of Bend’s many breweries (if you enjoy beer). 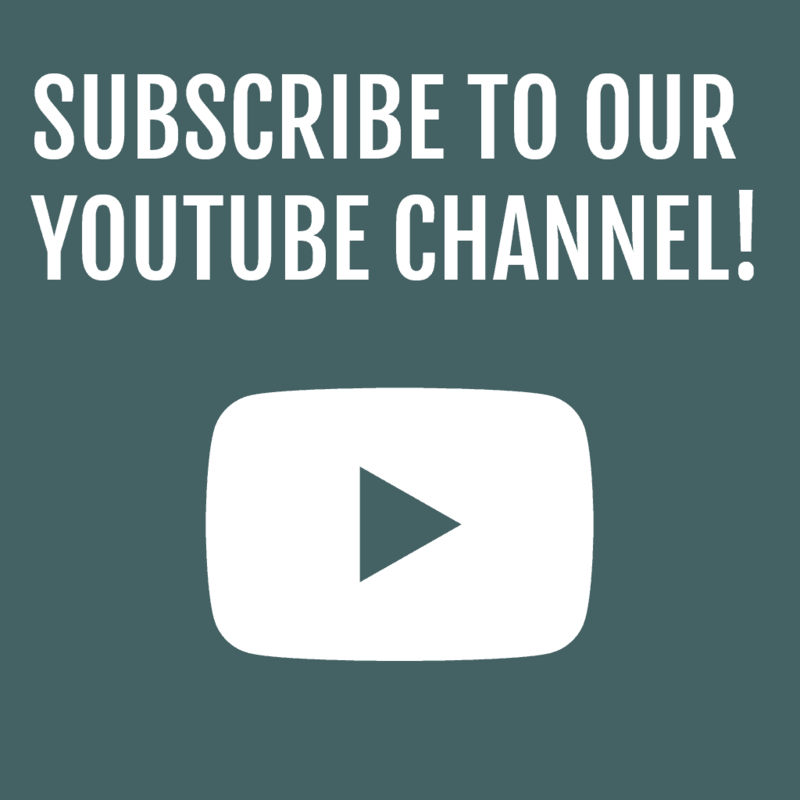 Some top ones to check out are Deschutes Brewery Tour (the tours are kid friendly! ), Crux Fermentation Project, GoodLife Brewing Company, or 10 Barrel Brewery. If you’re feeling very ambitious, conquer the Bend Ale Trail. The majority of these breweries have food as well and would make for a great lunch spot! 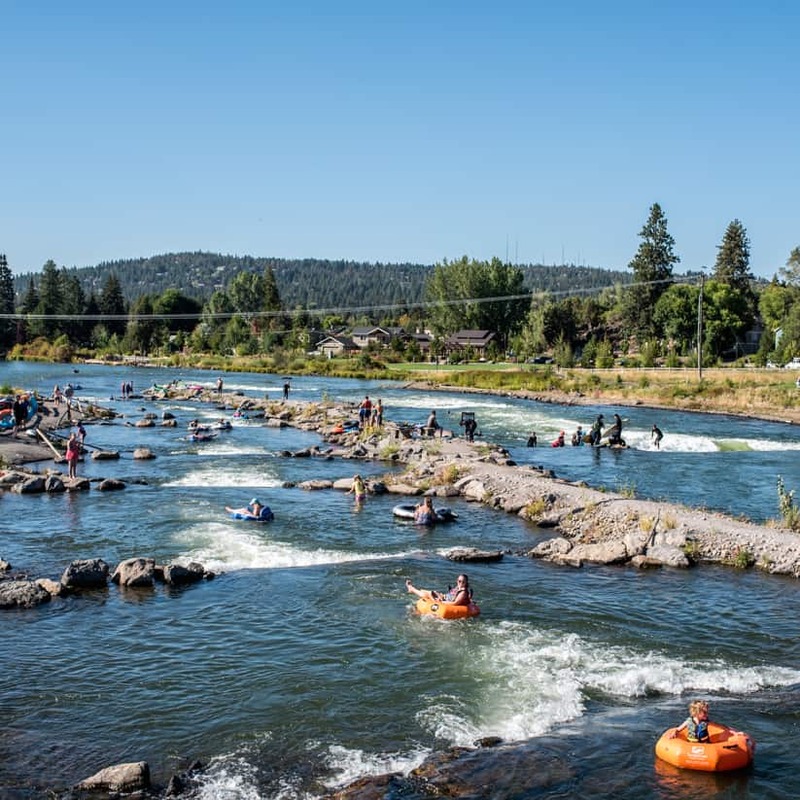 If it’s summertime, go tubing at the Whitewater Park! This looked so incredibly fun and we were bummed to miss out on it! 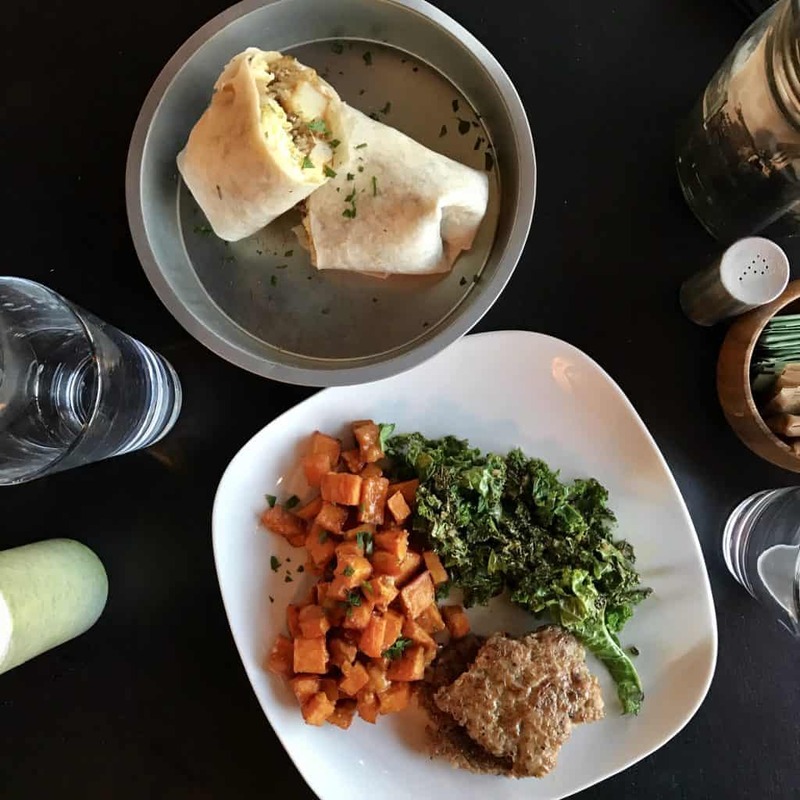 Have dinner at Spork, one of our new favorite restaurants! 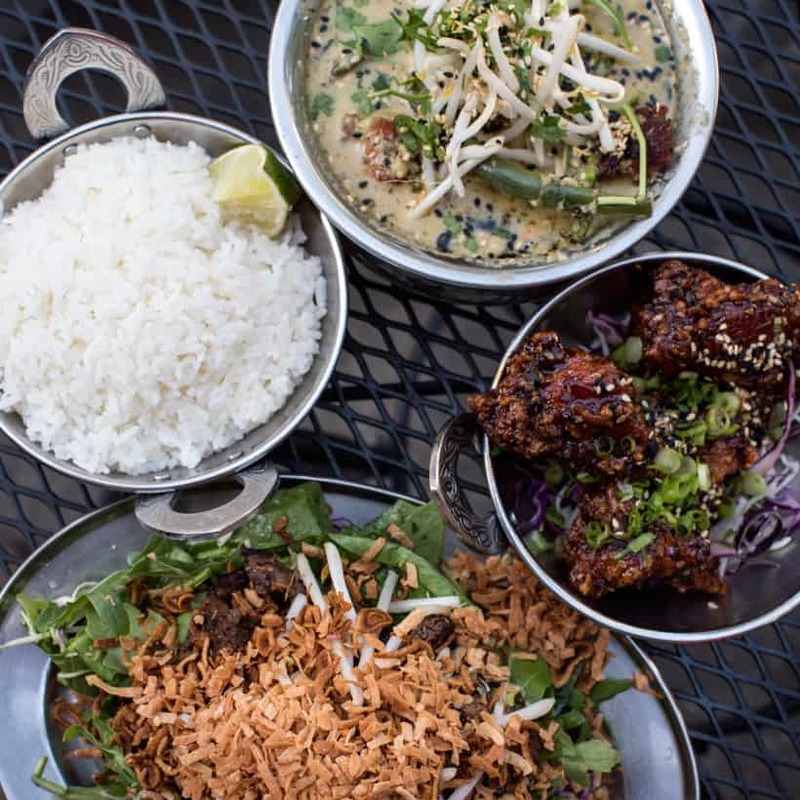 We recommend the coconut green curry, Thai steak salad, and the spicy fried chicken! 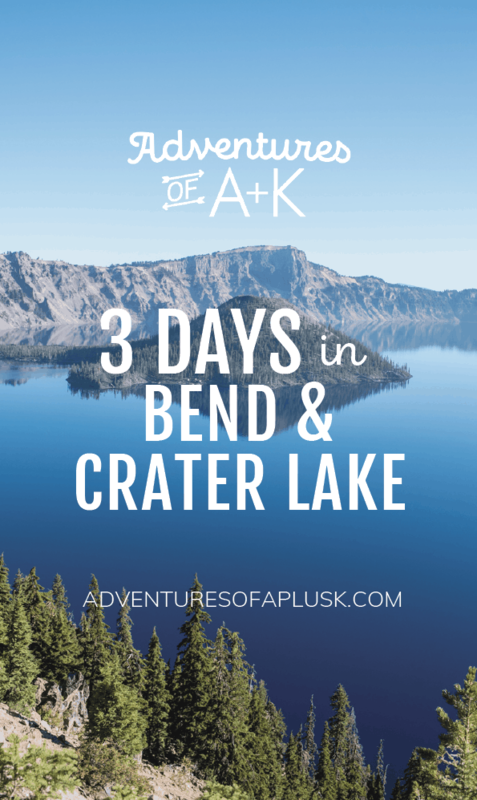 Ready to explore Bend & Crater Lake? Such beautiful places…definitely worth a visit!!! 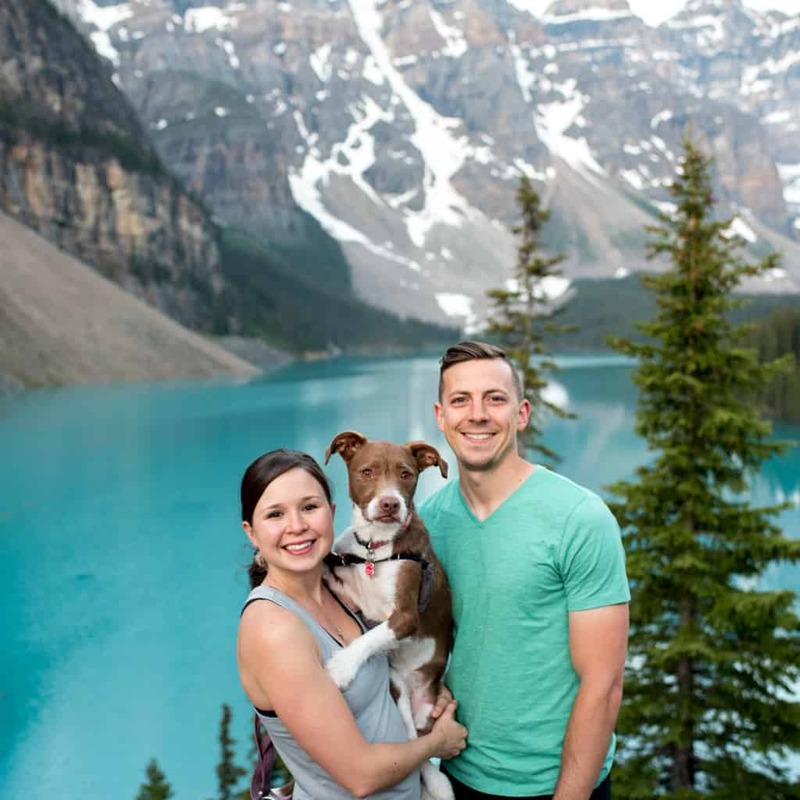 Love, love, love your travel blogs! Such great information!! You seem to like to research trips like i do and you have saved me tons of time! I really like that you add an “if you have additional time” section. I’m reading all your posts as we hope to start traveling the U.S. extensively in our camper.